The Biblical Studies and Christian Ministries Department encourages highly qualified majors with junior standing to consider pursuing departmental honors through rigorous research on various topics in disciplines of biblical studies, Christian ministries, or theology.  This entails preparation of a research project or thesis under the guidance of the honors director during two of the student’s last four terms at Gordon. The minimum requirement for application to the honors program is a cumulative GPA of 3.50 in the major and 3.00 overall as of the first term of the student’s junior year. Also required are excellent research and writing skills, as demonstrated in the student’s course work. If a student’s research proposal receives approval from the honors director in consultation with the department chair, the candidate then submits the Research Course Form to the Registrar to enroll in BCM 471 Research I (4cr.) and 472 II (4cr. ), develops a substantial project or thesis, and defends the project/thesis orally to department faculty and fellow students (as appropriate for the project or thesis). Interested students should discuss their project or thesis ideas with a potential honors director—a faculty member whose teaching specialty is closest to the student’s area of interest, and who would ultimately become the honors director. It will be at this faculty member’s discretion (in consultation with other department members) as to whether the student’s academic record and topic ideas merit proceeding to the stage of preparing a proposal. Having given this approval, the honors director assists the student in the preparation of a proposal that will serve as the template for the developing project. A copy of the proposal will be kept on record by the department chair. The honors director will determine a timeframe for the project or thesis that acts as a syllabus for the course. This should be completed at the beginning of each research semester. As a practical matter, the faculty are able to work with only a limited number of honors students each year. Each department member is restricted to directing two projects or theses at the most in a given academic year. Formal Abstract (one page, double-spaced). Initial "research plan," including guiding research questions and strategy for finding sources, worked out with the honors director (one page). "Bibliography starter," describing prospective research (one page). Fall: Prior to the last day of fall classes (for those wishing to begin their thesis research in the spring term of that year). Spring: Prior to the last day of spring classes (for those wishing to begin their thesis research in the fall term of the next year). Final project or thesis must be completed 2-weeks prior to the end of the semester. In keeping with standard journal article length, the work should be 25-35 pages. Title Page and Table of Contents are separate pages to be included at the beginning of the project. It is helpful for the Table of Contents to include both chapter and subchapter headings, thus representing the general outline of each chapter. See copies of past theses for samples. Note: Students should specify on their Title Page that their written work is under copyright (specifying the year of completion). Citation of Sources and Bibliography: notes should be formatted as footnotes, not endnotes. Notes should be used mainly for source citation: discursive (content) notes are sometimes necessary or useful, but they should be kept to a minimum. Bibliography should be arranged in two subsections, separately headed as Primary Sources (this coming first) and Secondary Sources. List sources in alphabetical order, by author’s last name, within each section. A public presentation appropriate to the project or thesis is required. This may include an advertised public event, small gathering of department faculty, or departmental gathering of students and faculty. The format of this will be determined by the honors director and usually takes place at the end of the semester in which the student completes the thesis.